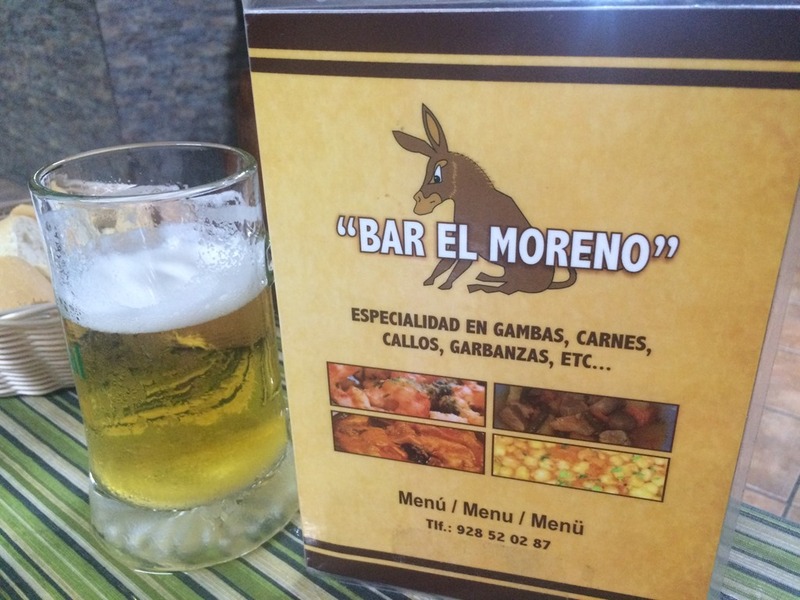 Bar El Moreno is situated on Calle el Quintero just off the mini roundabout on the main road in the centre of San Bartolomé close to the Monumento al Campesino. We needed somewhere to eat something quick one evening before a concert and decided to give it a try. We parked on the land opposite and walked past the tables on the terrace outside, they were buzzing, inside there are two main dining rooms, we sat down at a table by the bar. This place is reminiscent of a sociedad and has a great atmosphere, the clients were a mixture of Spanish and English and within half an hour, almost every table was occupied. We ordered the parillada de carne which is the dish that this bar is famous for. We asked for a portion for two people, the waiter asked again if we definitely wanted it for two people and when it arrived we realised why! It’s a mountain of meat and potatoes, we tried our hardest to finish it, but still ended up with a portion to take away. 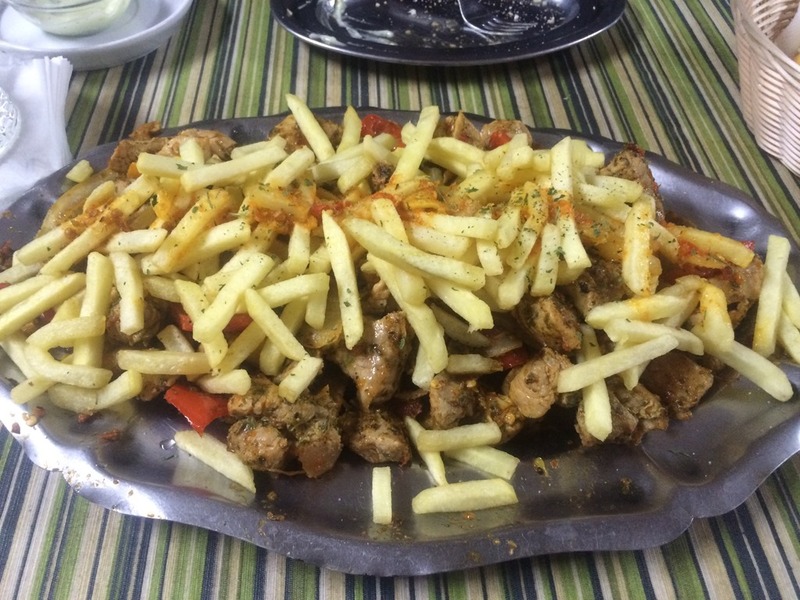 The cubes of marinated pork meat are fabulous, really tasty & tender, cooked with red peppers, onions and wedges of orange. The fries liberally poured over the top are a perfect accompaniment. 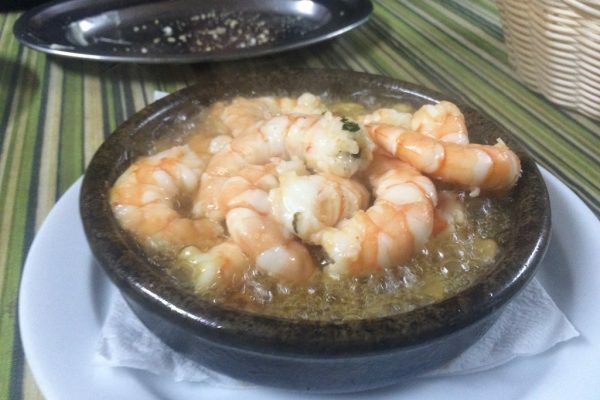 The other dish we tried was the garlic prawns, these were served sizzling to the table and another huge portion, along with a basket of bread. If I was being picky, I would say that the garlic wasn’t toasted enough for me, however the prawns were large in size, perfectly cooked and delicious. 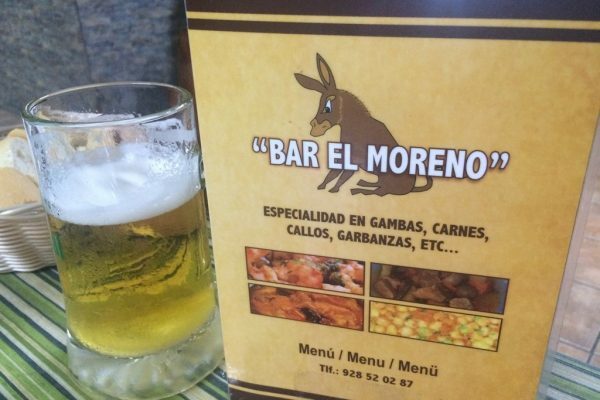 One of the review criticisms of Bar El Moreno is that the menu isn’t priced, when we visited the special pork platter was €15.00 which we felt was good value, and the garlic prawns €9.00 which seemed expensive in comparison. A large beer is €2.50. We liked the atmosphere, staff and food so will definitely return to “four forks” again in the future. In case you’re wondering on the nickname it’s because all the food is served in the centre of the table,so you can help yourself and the cutlery given is 4 forks! 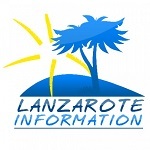 See more Lanzarote restaurant reviews. 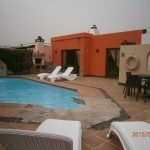 Casa Dos Estrellas is a villa in Playa Blanca for holiday letting, furnished to a very high standard and with everything you need for a relaxing holiday. 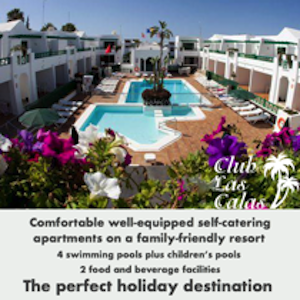 Which Resort In Lanzarote Has The Best Weather? 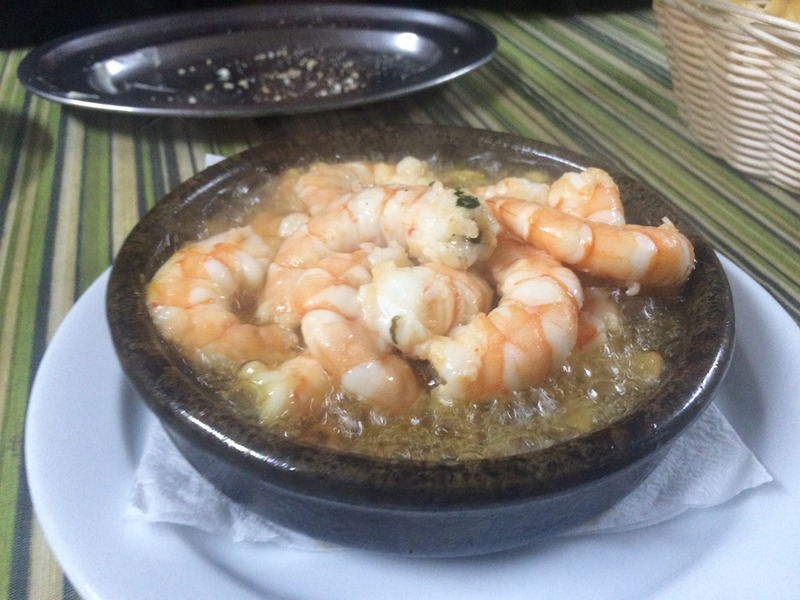 Tapas In Lanzarote - What Should You Order?